Pepsi Natural or Pepsi Raw (in countries other than the USA) was designed to be an all natural cola sweetened with natural sugar and nothing artificial. It was available in limited markets and didn't succeed to catch on. Pepsi no longer makes this product. 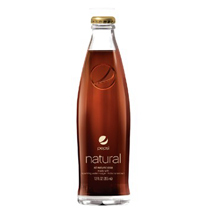 How Does Pepsi Natural Compare? Pepsi Natural contains 3.17 mgs of caffeine per fluid ounce (10.71mg/100 ml).